How do introverts at work survive, when our culture values extroversion so highly? Creatives tend to be introverted – or more sensitive to those who are. So I’ve brought in a pro writer to help us with this topic that interests me – and I hope you too! 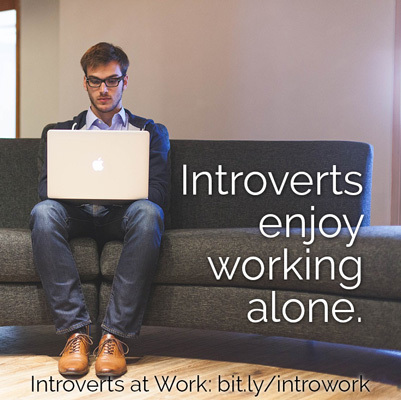 Read on to learn more about introverts at work. 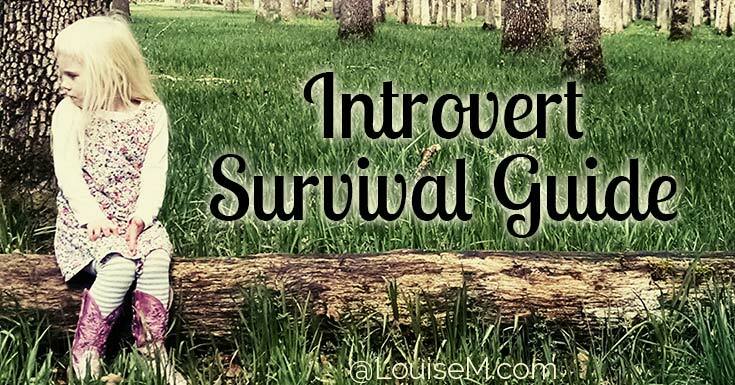 Plus, just added: Great tips for introverts to survive office parties! Cool infographic . The world is full of different kinds of people, both outgoing and reserved. If you come across someone who seems quiet, prefers to eat lunch alone, and seems to avoid gatherings and crowds as much as possible, it’s probably safe to say that person is introvert. The terms introvert and extrovert were popularized by Carl Jung. Most studies explain that each person has a natural preference for one of these two behaviors – but in reality, most people fall somewhere in between. They might be introverted at times and extroverted at others. An introvert is a person who finds comfort in being alone, and that is how he or she normally gears up for the day. On the other hand, an extrovert is someone who performs better if surrounded by other people. If he or she needs to accomplish a task that requires them to be alone, the extrovert most likely would surround him or herself with other people prior to starting the task. 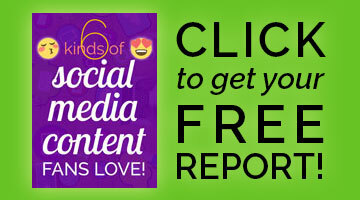 For examples of how personality influences social media use, see the Social Media Personality Infographic. If you prefer introversion and work in a big company that encourages team work, you don’t have to feel threatened. There are steps you can take to maintain a high performance level. Then, create a schedule for yourself and stick to it. Finally, always be ready by staying one step ahead. What’s a “happy place” for an introvert? It’s anywhere you can get some peace and solace. It could be a workstation very early in the morning before anyone else gets to work. It’s a time that can be used to review actions or events from the past few days and perform a self-evaluation. A happy place can also be a quiet and inconspicuous corner in the break room where a few chapters of a novel can be read before the day starts. In short, a happy place can be anywhere that allows the enjoyment of some alone time or where a few quiet moments can be spent with one or a handful of close friends, if desired. It’s important to remember that communication is important in the work environment. You should know your communication style to be able to cohesively work with coworkers that have different personality types than you. 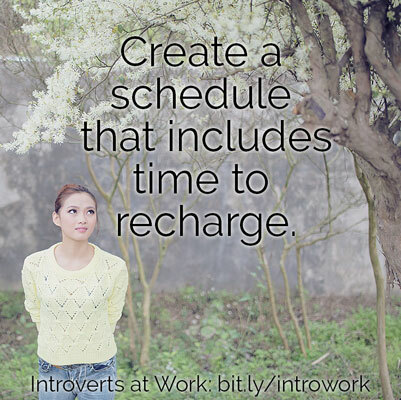 Creating a schedule for yourself will enable you to take breaks and recharge. You can use these breaks, or alone time, to work on skills that need improvement, or to learn more about topics that you need for your job. If you’re in sales, your schedule should include time for reviewing the profiles of your prospective clients, and how you should sell to them. If you are in customer service, your schedule should include time for you to review the policies and procedures you need to provide quality service. Try your best to stick to your schedule! This ensures you’ll have time to recharge. When you return to your group or team, you will be able to maintain your high efficiency of work output. Stay up-to-date on changes in your industry. Have a back-up plan for when things don’t go as planned. For instance, if you’re a corporate trainer and you have a participant who is a slower learner, you have to be able to adjust your module to accommodate this participant. In sales, a customer who cancels at the last minute won’t affect your stats if you’ve already exceeded your target – instead of just meeting it. You overcompensate your successful sales to make up for a possible failed one. This example could be adapted for other scenarios as well. 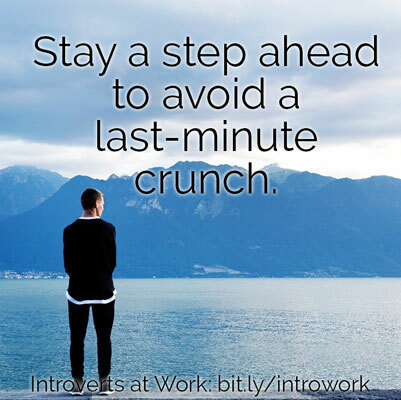 Introverts at Work CAN Succeed! Being an introvert in a workplace where you’re encouraged to be an extrovert isn’t easy, but it’s not impossible. As Jung said, “There is no such thing as a pure introvert or extrovert.” You just have to make time to properly recharge, so you can channel your extrovert side. have a strong need for privacy. like to observe new situations before diving in. don’t do well when put on the spot. enjoy the company of one or a small handful of friends. Read on for office party survival tips! The holiday season is upon us, and with that comes office parties. Work gatherings can be particularly daunting to introverts, as they often feel out of their comfort zone in a social environment. But if you’re not attending work parties, you might be left out of office friendships and conversations – not to mention being at the back of management’s mind when it comes to promotions and raises. So next time you’re considering dodging your company’s social outing – take a deep breath, be brave and follow this 18-step survival guide covering what to do before, during, and after the party. Thanks to Simply Be for the graphic below, licensed under Creative Commons BY-SA 4.0. No changes have been made. This post was originally published June 8, 2015, and updated with tips for work party survival on December 6, 2018. Keep this information in mind to help you channel your energy and manage your time, so you’ll have the strength you need to perform at your best. 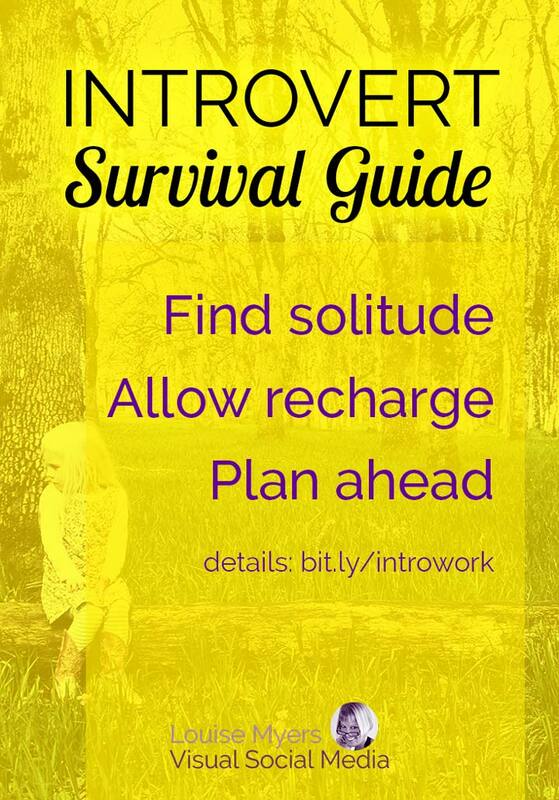 And that’s how introverts at work can excel! I definitely agree on staying ahead of everything – it’s quite difficult to handle confrontational situations. Anticipating what might come up puts you in a much better situation to handle any unpleasant situation that inevitably will come up. 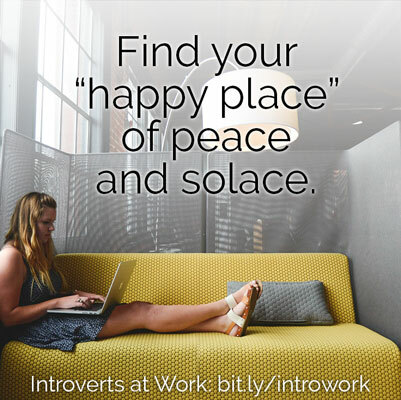 The article from the StartupCVs blog also gives a couple of great tips for introverts at the workplace like using emails, again to avoid confrontation and defusing any situation that might bubble up.